The cyber security company MedSec and the investment research firm Muddy Waters have released a joint report accusing medical device manufacturer St. Jude Medical of ignoring serious security vulnerabilities in some of its most popular products. The report urges St. Jude Medical to issue a sweeping recall and undergo a complete overhaul of its products in regards to security. MedSec analyzed products from four different manufacturers and found St. Jude Medical products to be the least secure by far. 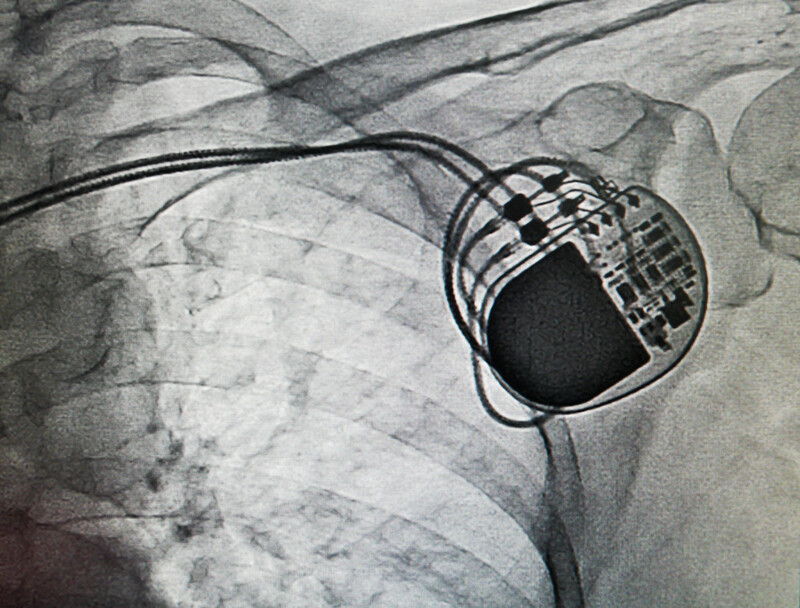 The analysis focused specifically on implanted cardiac devices like pacemakers and cardioverter defibrillators, as well as the software and networks used to operate these devices and transmit data between patient and doctor. Studying second-hand devices obtained from a credible physician revealed that the software/hardware lacked industry-standard encryption and authentication protections. Those kinds of vulnerabilities expose these devices to attack by even the least sophisticated hackers. MedSec took the step of creating and testing attacks that could cause the devices to malfunction or run through battery power much faster than intended. This kind of research is not unusual in the tech sector. In fact, St. Jude Medical has a dedicated email address where researchers can report suspected vulnerabilities and flaws. What is unusual in this case is that instead of contacting the manufacturer directly, MedSec reached out to the investors at Muddy Waters instead. The investment firm then licensed the security research and paid MedSec a portion of the investment profits that resulted. The joint report estimates that if St. Jude Medical were to take the steps necessary to resolve the security issues discovered it could cut the company’s revenue in half for up to two years. The devices studied represent 46% of the manufacturer’s annual revenue. Betting that the stock price of St. Jude Medical would plummet after the report was released, Muddy Waters chose to short-sell the stock. When the stock price did plummet 8% on Thursday, both the investment and security firms made a windfall. Executives from MedSec have acknowledged the monetary gain but said their motives were simply to raise awareness. The firm’s CEO has expressed concern that if normal channels were followed the device manufacturer would have covered the research up and continued to operate as usual. The report contains limited technical details. This is common in cyber security research in order to avoid detailing effective attack strategies, but it has also caused some to question the veracity of MedSec’s claims. Officials from St. Jude Medical have aggressively refuted the research and pointed to in-house security testing on both devices and networks. An overabundance of simultaneous online activities has been identified as a major causes of malware infections and other cyber security problems according to researchers. Browser-based security alters are often overlooked or ignored when users are trying to do multiple things at once online. The research was conducted by a joint team from Bringham Young University and the University of Pittsburgh. Academics used functional magnetic resonance imaging (fMRI) scans to better understand how the brain works when tackling multiple digital projects. Their research was conducted specifically in the context of online multi-tasking and security alerts. The scans revealed a phenomenon observed by other neuroscientists known as dual-task interference (DTI). When the brain is confronted with multiple sources of input at one time it suffers a productivity loss. 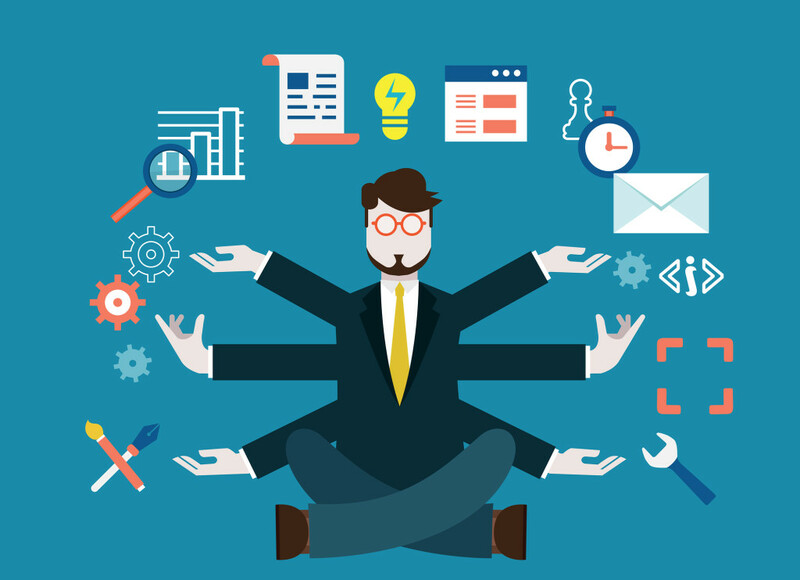 In order to compensate, there is a natural tendency to focus on the primary task while ignoring any secondary tasks. In this case, users ignored security alerts while continuing the risky online behavior that initially triggered the alert. The academics Anthony Vance Jeffrey L. Jenkins, Bonnie Brinton Anderson, and C. Brock Kirwan of BYU, and David Eargle of Pitt wrote in their research paper that “Our findings suggest that although alerts are pervasive in personal computing, they should be bounded in their presentation. The timing of interruptions strongly influences the occurrence of DTI in the brain, which in turn substantially impacts alert disregard.” Essentially, they recommend that alerts be scheduled to appear during periods of low DTI. Periods of high DTI include when users are watching videos, moving to close webpages, or entering a user name and password. Periods of low DTI include after a video has concluded, a webpage has loaded, or a mouse cursor has gone dormant. Alerts that appeared during periods of high DTI were ignored 90% of the time. Rates of acknowledgment improved significantly when the alerts were strategically scheduled. The same team of researches conducted a previous study designed to judge user’s reaction to the content of security warnings. In that study, participants were asked to perform simple tasks during which security warnings were intermittently displayed. The majority of users ignored the warnings until they were enlarged, included menacing images, and specifically stated that the computer was being hacked. The most recent round of research was conducted in collaboration with engineers from Google and relied on a Google Chrome extension that alerts users when malware is present and browser settings have been changed. The insights generated throughout this course of research will likely be used to improve the visibility and urgency or security alerts delivered on future browsers. An analysis of password-strength meters has revealed that some of the most popular products fail to accurately categorize the security of user-generated passwords. Strings of characters and numbers that would be easy for malicious entries to deduce were not appropriately flagged according to security experts. The research was conducted by web consultant Mark Stockley and posted on the blog Naked Security. Password-strength meters are a common feature of any interface that requires new users to create a unique password. The meter analyzes the predictability of the password and then rates it on a scale typically ranging from very weak to strong. The five meters initially tested returned ratings ranging from weak, to normal/mediocre, to good in a few cases. This is in spite of the fact that the five tested passwords are considered some of the very worst options available to users. The zxcbvn meter rated all five as very weak. This research comes in the wake of a report from the information security consultancy firm Praetorian showing that four out of the five most common causes of data breaches related to stolen credentials rather than malware or zero day threats. Password strength is integral to personal and enterprise data security because password authentication can be used to override even the most sophisticated threat avoidance measures. Predicting a password is also significantly easier than developing a successful malware product. Experts warn that simply capitalizing a letter or adding a number in place of another character does not transform a weak password into a strong one. Hackers have a sophisticated understanding of user behavior and often make predictable and correct substitutions when their initial guesses turn out to be wrong. Stockley’s research reveals that it is imperative for users to gravitate away from familiar and therefore predictable passwords, and to rely on quality meters that offer a realistic analysis of a password’s strength. 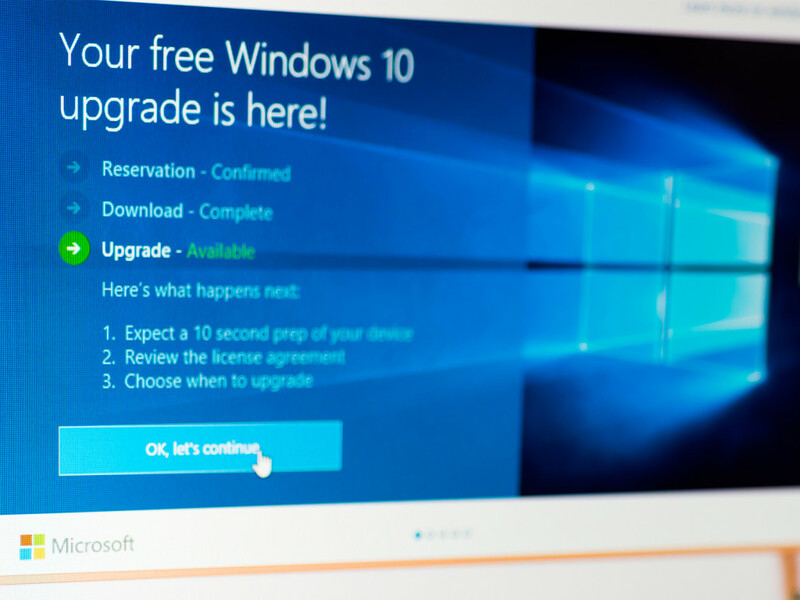 Digital privacy advocates have expressed growing concerns over the privacy of Microsoft’s Windows 10 operating system. The concerns relate specifically to the aggressiveness of the software giant’s push to implement Windows 10, and the ways that it harvests information from users. The Electronic Frontier Foundation (EFF) outlined its fears in a recent post on its DeepLinks blog. The technology rights organization pointed out deceptive practices used to manipulate users into downloading Windows 10. In May 2016, Microsoft changed the interface used to either accept or reject the download. When users clicked the x in the top right corner of the alert, the download was automatically initiated, reversing an almost universal set of practices for expressing rejection in a digital environment. The EFF goes on to note that the default settings for Windows 10 are set up to automatically send huge amounts of usage data back to Microsoft. The settings can be changed to limit the transmission, but only enterprise users can opt out entirely. Users have noted that after changing the settings the system claims to transmit no data, but a more careful examination reveals that transmission is still a part of the task scheduler. Adding to the concerns, the nature of the data is unknown. In the most benign cases it could be used by Microsoft to make improvements to the user experience. More likely, however, is that it is being tracked, stored, and then sold to marketers hoping to deliver more targeted ads. Experts have also pointed out the risk of making data transmission a precondition of using the software. There is a very real tension between the need for privacy and the need for mission critical apps. In an enterprise environment, businesses could be forced to share sensitive information in order to avoid crippling their IT capabilities. Some have called for federal legislation prohibiting this practice. The practice is already illegal in EU countries. Microsoft is not the only company to surreptitiously harvest user data. McAffee security software also monitors usage data, though using a different transmission technology. The company has defended the practice by saying it’s necessary for providing up to date threat protection. Windows 10 was first released to consumers in July 2015. Unlike previous versions of Windows, the updated operating system was free to users and available in its entirety though a download. In recent months the company has aggressively pushed the operating system on users in an effort to phase out older versions of Windows and focus support resources exclusively on the most current product. Microsoft hopes to have Windows 10 running on 1 billion devices by 2018. Google is preparing to introduce new safety features to the company’s popular Gmail email messaging app before the end of August. The features are designed to help end users, particularly those with a minimal understanding of online security protocols, identify and avoid suspicious emails. Once in place, the features will display a question mark over a sender’s profile picture if that sender cannot be authenticated using the Sender Policy Framework or DKIM. The features will apply to both browser-based users of Gmail as well as Android users. Warnings will also appear if an email contains potentially dangerous or duplicitous links. Users will be warned that “Visiting this web site may harm your computer.” They will then have the option to explore the reasons for the suspicion in detail and learn about online security best practices. Senders whose emails have been unnecessarily flagged have the right to appeal the warning. This is not Google’s first attempt to provide warnings to users, but the newest strategy has been informed by a growing body of research into how end users read and comprehend warning information. Overall, the warnings have become shorter, more direct, and less technical. Instead of attempting to explain the nature of the threat, these new warnings simply emphasize the presence of a threat in clear language. Google made two previous updates to security protocols this year. Previous updates were targeted at deceptive embedded content and designed specifically for the needs of network administrators. This is the company’s first recent attempt to improve email security for end users. The change comes in the wake of a recently released report highlighting the prevalence of unwanted software distribution though email channels. The report focuses on four pay-per-install networks, the particular types of software that they distribute, and the impact that software has on end users. In this particular scheme, developers pay distributor networks between $.10 and $1.50 per download to manipulate users into installing unwanted software on their computers. Most of this software unexpectedly injects ads into user experiences, changes browser settings without authorization, or offers “cleanup” services. The developers then recoup the distribution cost by monetizing users who have not given consent, or by locking them into outrageous ongoing subscription fees. Data from Google suggests that these distributor networks drive over 60 million download attempts per week, a rate that is three times higher than rates of malware distribution. This unwanted software is not technically classified as malware because it does not corrupt performance, but it does have a significant impact on users. The new safety measures set to roll out put at least one level of protection between the user and the download. As of Feb 2016, Gmail had over 1 billion monthly active users worldwide. A technical paper recently released by a group of academics reveals that smart key fobs can be exploited to grant unauthorized access to millions of vehicles currently on the road. The revelation could explain a wave of thefts involving cars believed to be securely locked. The hack was specifically targeted at Volkswagen, Ford, and Chevrolet vehicles that rely on a now antiquated key fob technology. In most cases, the vulnerable technology is not being used in late model year vehicles, but millions of older vehicles rely on the insecure technology to permit remote and keyless access to the car. The researchers involved include Flavio D. Garcia, David Oswald, Timo Kasper and Pierre Pavlidès. They did not outline the full details of the hack but revealed that the exploit required only $40 worth of readily available technology. Once constructed, the device not only allows a phony key to grant access, it can also disable the genuine key remotely. The hack affects multiple automakers, but Volkswagen most significantly. The researchers believe that almost all Volkswagen vehicles manufactured since 1995 are at risk. The device the researchers constructed has a range of around 300 feet. 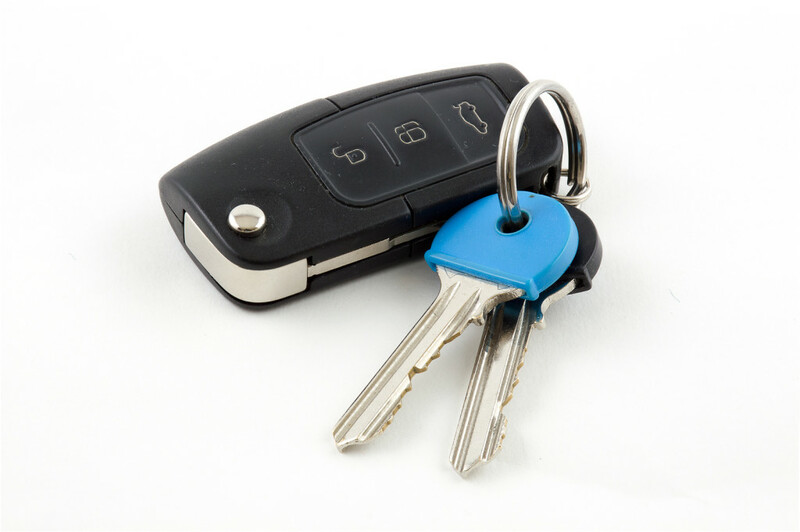 After a key fob is used just once to grant authorized access to the owner of the vehicle, the cryptographic code used by the key fob is recorded by the device. It can then be programmed into a dummy key that removes all barriers to entry. The problems are not exclusive to Volkswagen. Security researchers who study cyber attacks on cars have said previously that most key fob technologies are vulnerable to exploitation. The technologies in place either lack adequate security measures or rely on systems with significant loopholes and backdoors in place. The device is not wholly new but rather a variation on existing devices used to grant unauthorized access to cars. In some cases, kits for building these devices are available on the black market. That means the technology is accessible to malicious parties with little to no technical expertise. Experts report that a fix is possible, but that it is expensive, time consuming, and not likely a priority for the automakers. This research comes amid widespread fears about the vulnerability of internet connected cars and the ways that they could potentially be exploited by hackers. The sobering truth revealed by the report is that the vast majority of cars currently in service are vulnerable to some form of cyber attack. The 2016 Global Visual Hacking Experiment has revealed that low-tech hacking methods involving little or no technology are alarmingly effective. Sensitive information was successfully compromised in 91% of the hacking attempts conducted during the experiment. Participants in the experiment included 46 companies from eight different countries including the United States, China, France, India, Germany, Japan, South Korea and the United Kingdom. More than 150 trials were conducted. In each, a white hat hacker was grated access to a company in the guise of a temporary worker. The worker was given a valid security badge, but otherwise the employees of the company were unaware that they were participating in a security experiment. The goal of each trial was to determine how much sensitive information could be gleaned simply by looking at computer screens, devices, and documents, a technique known as “visual hacking.” The undercover hacker walked around each office environment observing information written on printed documents, displayed on computer screens, and accessible through printers and scanners. In some instances the hacker took documents marked as confidential and placed them in a bag. In other cases the hacker photographed screens using a smartphone. Every action was taken in full view of the company’s employees. The experiment reveals a troubling and often overlooked aspect of cyber security and corporate espionage. In spite of significant investments in technology and human resources dedicated to securing cyber assets, they remain vulnerable to some of the simplest methods of theft. Physical security of not just facilities but sightlines is revealed to be a priority that most enterprises neglect. In 52% of the trials, information was available simply by observing computer screens. Of the information stolen, 27% was deemed to be sensitive. This included login credentials, documents confidential under attorney-client privilege, classified information, and financial information. In 49% of the cases it took less than 15 minutes to complete the first visual hack. Employee complacency was also revealed to be an issue. In 68% of the trials the undercover hacker was never confronted and their activities were not reported afterwards even when suspicious or unusual activity was directly observed. The layout of the office has a direct impact on the effectiveness of visual hacking. Offices with a cubicles restrict at least some access to documents and screens. Open floor plan offices, by contrast, invite and facilitate covert observation and access. Companies with privacy protection measures in place experienced 26% fewer visual privacy breaches. The Obama administration is preparing to elevate the status of the Pentagon’s Cyber Command. It will be tasked with developing offensive strategies to combat cyber attacks and drafting policies to punish cyber criminals while placing a particular emphasis on combating ISIS. Cyber Command is currently part of the National Security Administration but will be separated out into its own “unified command.” Other examples of this command structure include the military’s Central and Pacific commands. That will empower officials within Cyber Command to have a larger voice for advocating for the offensive and defensive use of cyber strategies in future conflicts. Cyber Command was created in 2010 and is now subordinate to the U.S. Strategic Command which is tasked with missile defense, space operations, and nuclear weapons. The looming change in command structure reflects the growing role that cyber strategies play in modern warfare. Officials who spoke to Reuters cautioned that the exact details of the plan are still being debated, and that President Obama has not yet given final approval. 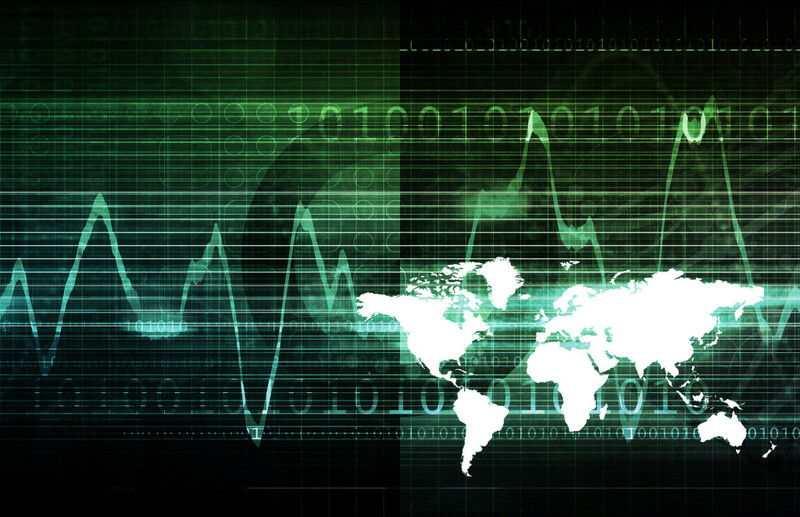 Many had previously predicted the growing role of Cyber Command. Defense Secretary Ash Carter said previously in a speech that the Pentagon planned to spend an additional $35 billion on cyber strategies over the next five years. “Adapting to new functions will include changes in how we manage ourselves in cyberspace,” Carter commented. Navy Adm. Michael S. Rogers, the current head of Cyber Command, also created Joint Task Force Ares last month to improve the military’s efforts to combat ISIS on cyber fronts. The task force is made up of operations and intelligence officials from throughout the armed services. 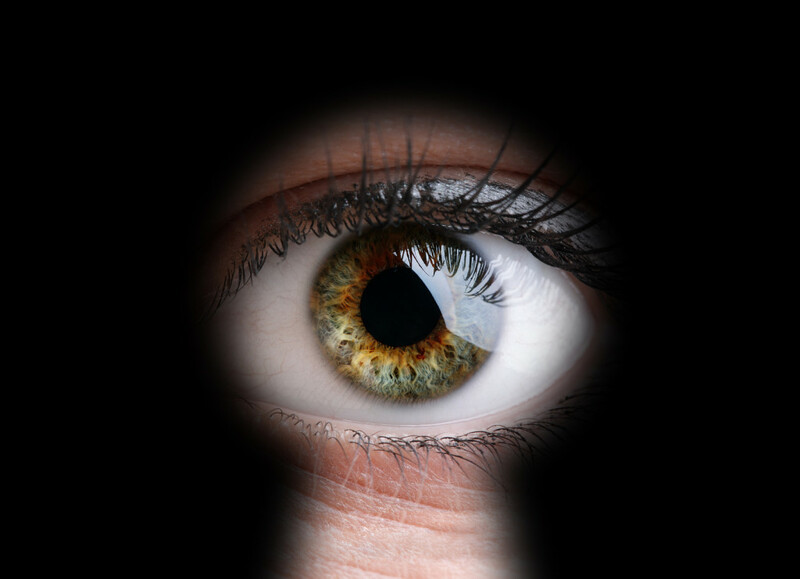 The role of the NSA is largely dedicated to monitoring and intelligence gathering. The new Cyber Command is expected to have much more of an offensive role, dealing directly with the fallout from cyber attacks and responding in kind if ordered to do so. A recently released survey from the Digital Citizens Alliance reveals that cyber security is now a preeminent concern for many American citizens. The survey shows that nearly half of Americans have previously been the victim of some sort of cyber crime, often with severe financial repercussions. The survey included 1,215 participants, of which 46% had fallen prey to some sort of scam or fraud, had personal credit information stolen, of had their identity stolen. Of those victims, 33% suffered financial losses, and in 10% of the cases those losses exceeded $1,000. As a result of that prevalence, 52% of the survey participants responded that they felt the internet was less safe than it was just 5 years ago, with only 12% responding that they felt it was more safe. The survey revealed other details about the troubling state of cyber crime directed at the average consumer. Of the respondents, 69% reported finding some sort of malware or virus on their computer. 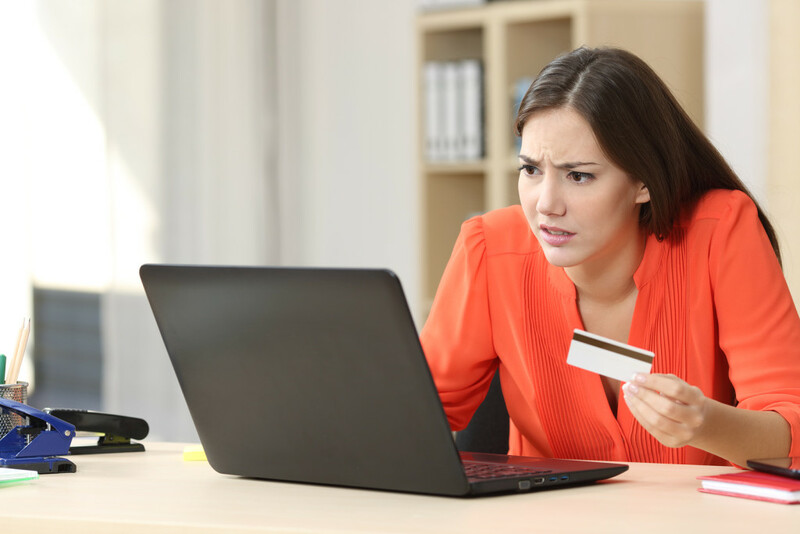 An additional 20% reported having purchased something online but never receiving either the product or a refund for the purchase price. This is a problem particularly affecting younger consumers who are more likely to seek out less reputable sites offering deals. The largest and perhaps most revealing figure to come out of the survey is an alarming 71% of Americans who report “I feel like I have to be on guard.” when operating online. One in six said they felt the need to be constantly vigilant against an unceasing threat. Gavin went on to say “Americans want their leaders – whether they work in government or at the tech companies that bring us technology – to step up and combat this epidemic of online crime and risk.” An additional 71% of the survey respondents said they wanted tougher state and federal laws to combat the threat of cyber crime. A hacker who gained unauthorized access to hundreds of email addresses, including those of famous celebrities, has been sentenced to six months in prison. Andrew Helton, 29, of Portland, Oregon broke into 363 email accounts housed on both Apple and Google servers. Helton relied on “phishing” attacks to gain access. The account holders were sent emails asking them to “verify” their accounts. They were then taken to phony pages mimicking the look of email login screens and asked to enter their user name and password. 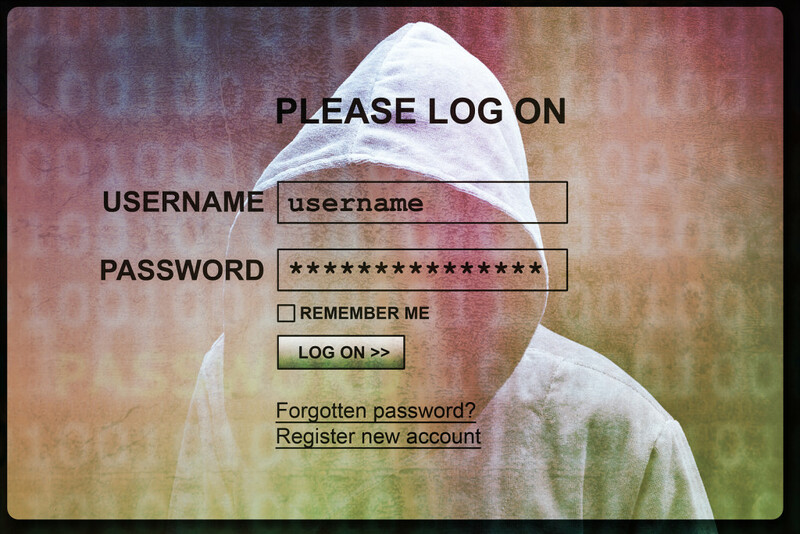 According to authorities, Helton was able to steal the log in information for 448 total users. When that information was used to access accounts, Helton searched for private information including sexually explicit images. He was able to steal 161 images overall, with 13 featuring well known celebrities. In February, Helton plead guilt to one charge of unauthorized access to a protected computer to obtain information. This is a felony charge under the Computer Fraud and Abuse Act. The charge normally carries with it five year prison sentence, but on Thursday a judge reduced his sentence to six months and ordered him to pay a $3,000 fine. Helton will begin serving his prison sentence starting on October 11th. Helton’s lawyers argued that their client should receive no jail time because his attacks were not very technologically sophisticated. When that failed to elicit sympathy, they cited Helton’s struggles with metal illness. The presiding judge in the case, John A. Kronstadt, said that he hoped the sentence would allow Helton to move forward. “I regard this as part of a new beginning,” the judge said. This is not the first time that a hacker has received a prison sentence for targeting celebrities. In 2012, a Florida man named Christoper Chaney was sentenced to 10 years in prison for targeting celebrities like Renee Olstead, Mila Kunis, and Scarlett Johansson among others. 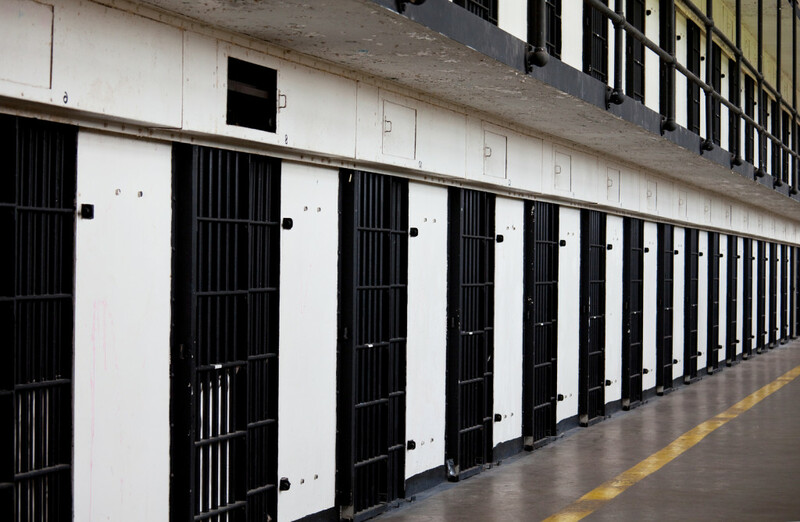 Earlier this month, a hacker named Mir Islam was sentenced to two years in prison for a variety of cyber crimes targeted at public figures. A number of a hackers have plead guilty but have yet to be sentenced for their involvement in the “Celebegate” scandal of 2014.